He hasn't wrestled on RAW in almost twenty years. But now Jeff Jarrett will return to RAW to take on Elias in a big singles match. The two men had an altercation at the Royal Rumble. The two men would have yet another interesting confrontation on RAW this week when they were joined by Jarrett's good friend- Road Dogg. Jeff Jarrett is a WWE legend who shot to fame in the 90s thanks to his country musician gimmick, where he arrived in the ring armed with a guitar. It is a similar gimmick to the one Elias plays right now. Jarrett, of course, hails from a wrestling family and was the man who set up TNA in the year 2002. He was inducted into the WWE Hall of Fame in the year 2018 by none other than Road Dogg. Jarrett made a surprise return at the Royal Rumble and had a very interesting confrontation with Elias. 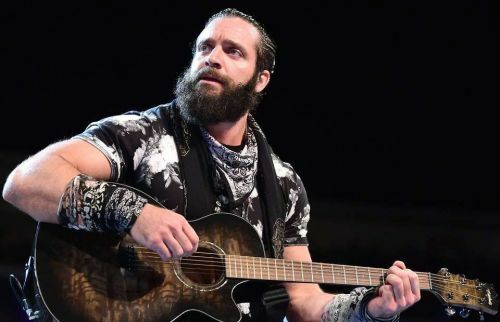 Elias might have gotten the better of WWE Hall of Famer Jeff Jarrett and Road Dogg this past Monday on Raw, taking down the two legends with guitar-smashing malice, but The Living Truth could be singing a different tune when he battles Double J one-on-one. With Road Dogg in his corner, can Jarrett defeat the treacherous troubadour? It is very unlikely indeed that Jarrett is returning for a full-time run with WWE. In all likelihood, he's just coming to put Elias over. RAW will build to the Elimination Chamber pay-per-view in the coming week. Be sure to join us for our live coverage. Who do you think will emerge victorious in this highly anticipated match?